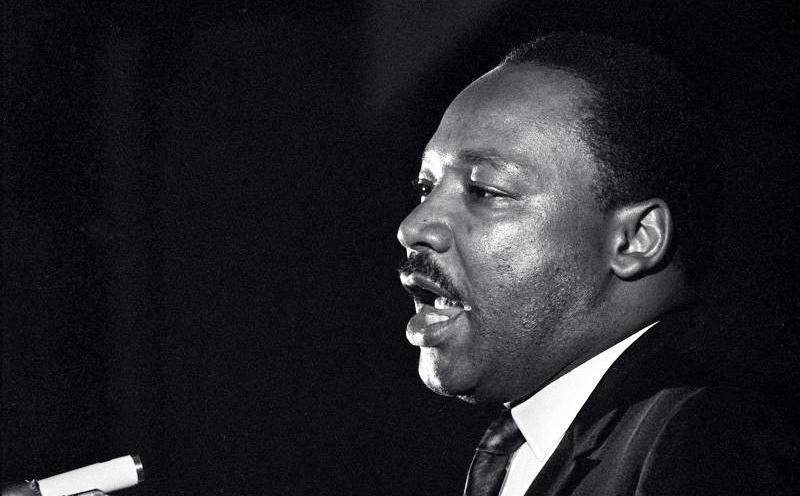 Assessing Dr. King's Legacy: Were His Economic Dreams For America Realized? 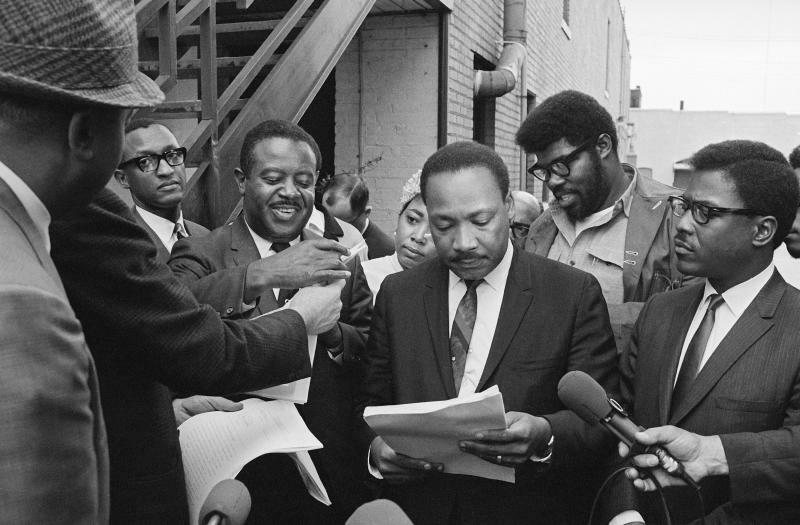 Dr. King in Memphis, the day before he died. He is looking at a restraining order filed against him, prohibiting him from leading a march in the city. 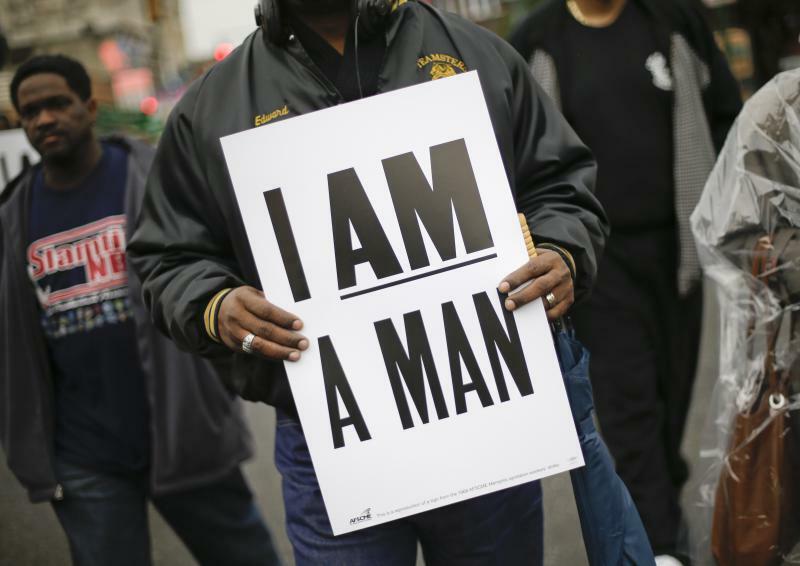 On the 2013 anniversary of Dr. King's death, a protester displays a sign similar to the ones carried during the 1968 sanitation workers' strike in Memphis. The balcony of the former Lorraine Motel where King was shot 50 years ago. 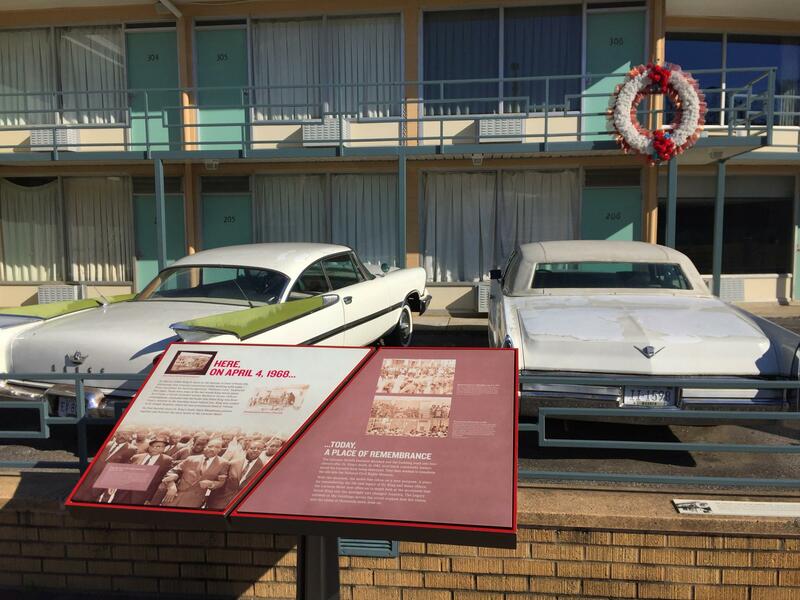 The motel in downtown Memphis is now the National Civil Rights Museum. 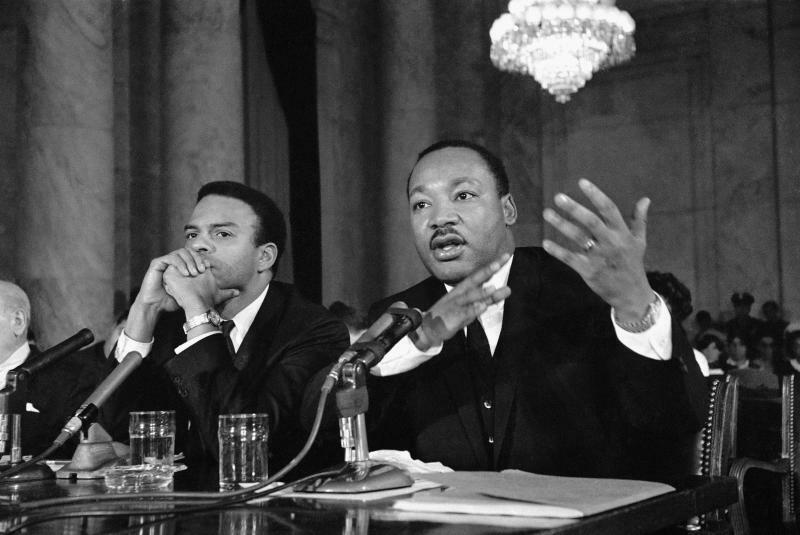 On the 50th anniversary of the assassination of Martin Luther King Jr., the civil rights leader’s legacy continues to loom large through such landmark legislation as the Civil Rights Act of 1964, the Voting Rights Act of 1965 and the Fair Housing Act of 1968, as well as affirmative action hiring and educational practices. At the end of his life, King focused increasingly on economic equality. That dream has yet to be fully realized. “By the end of the 20th century, you have a real black middle class in America, which Dr. King would certainly have taken some credit for and been encouraged by,” Toure Reed, a history professor at Illinois State University, said on GLT’s Sound Ideas. “At the same time, disparities exist. Blacks continue to be over-represented among the poor and unemployed and the inmate population,” Reed added. Reed, co-chair of ISU’s African-American studies program, said King and his advisors became convinced that eliminating legal barriers to racial equality alone would not address the economic disparity that existed between the races. “We needed a more economically fair society,” Reed said. The Great Society anti-poverty programs of the Johnson administration were one response, Reed noted. Progress on those programs slowed as the country became mired in the Vietnam War. King was pressing his economic aims on the day he was killed. He had traveled to Memphis to lead a march seeking safer working conditions and better wages for that city’s striking sanitation workers. He was felled by an assassin’s bullet as he stood on the balcony of the Lorraine Motel in downtown Memphis, now a civil rights museum. As early as 1963, King began advocating for greater economic opportunity, Reed said. 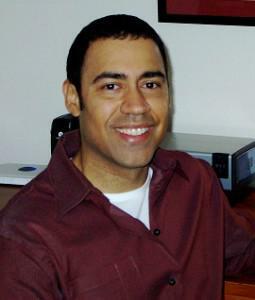 Toure Reed is co-chair of the ISU African-American studies program. He believes Dr. King would have increasingly pressed for economic opportunity if he had lived. “The march on Washington in 1963 was motivated in large part by the ubiquitous disparities in income and unemployment,” he said. “Its aims included a number of things we don’t generally think of as civil rights aims. They include a full employment economy, and jobs programs—public works programs—which would mean the government would create jobs directly for unemployed and under-employed people as well as an increase to federal minimum wage,” Reed said. King endorsed that jobs agenda as the U.S. economy was moving from a manufacturing base in the early 1960s, and becoming increasingly automated. King and his advisers, Reed said, realized that “simply passing anti-discrimination legislation would do little to address the economic disparity” that impacted black workers. Some historians argue that King’s economic goals were hindered also by the fact that the civil rights movement at the end of the 60s was itself faltering. In another sense, Reed noted, public sympathy after the assassination helped generate support for one of the last major legislative victories for the movement, the Civil Rights Act of 1968, which outlawed housing discrimination. Congress passed the law within two weeks of King’s death. At the same time, riots that broke out in a number of American cities—most notably in Washington, D.C.—in reaction to King’s assassination, helped galvanize opponents of the civil rights movement. The riots “helped to usher in President Nixon’s law and order presidency,” Reed said. That, in turn, sparked a long debate over government anti-poverty and social welfare programs culminating in the election of Ronald Reagan in 1980, who ran on a platform opposed to “big government,” Reed noted. King had consistently advocated a non-violent approach to protest. By the time race riots broke out, some of his followers had begun rethinking that approach. “Many young people in particular were disillusioned with non-violent protest,” Reed said. King’s death also helped precipitate the rise of the Black Power movement, Reed said. “There are many positive things one can say about (that movement) in terms of generating racial pride for black Americans, which many black Americans took to because they lived in a nation that denigrated them,” Reed said. On the other hand, the Black Power movement “legitimated separatist policies” that King and others would have seen as hindering the coalition-building they viewed as essential to their economic justice aims, Reed added. “As a minority, they needed a coalition. They needed to ally with other people who didn’t look like them, but shared their concerns,” he said. Reed said the efforts of Black Lives Matter today share more in common with the Black Power movement than King’s end-of-life aims. Reed said he believes King would point out that the concerns of Black Lives Matter, such as bias in the criminal justice system, police brutality, and mass incarceration, “are also consequential to lives of many white people and Latino people as well,” Reed added. Too narrow a focus “makes it more complicated or difficult to bring about the kind of change needed,” Reed said. How might King view of the overall racial landscape of 2018 America? Wednesday marks the 50-year anniversary of Martin Luther King Jr.’s assassination. The words and deeds of Martin Luther King Jr. touched many in central Illinois.